Tamachi area of ​​Minato-ku, Tokyo. 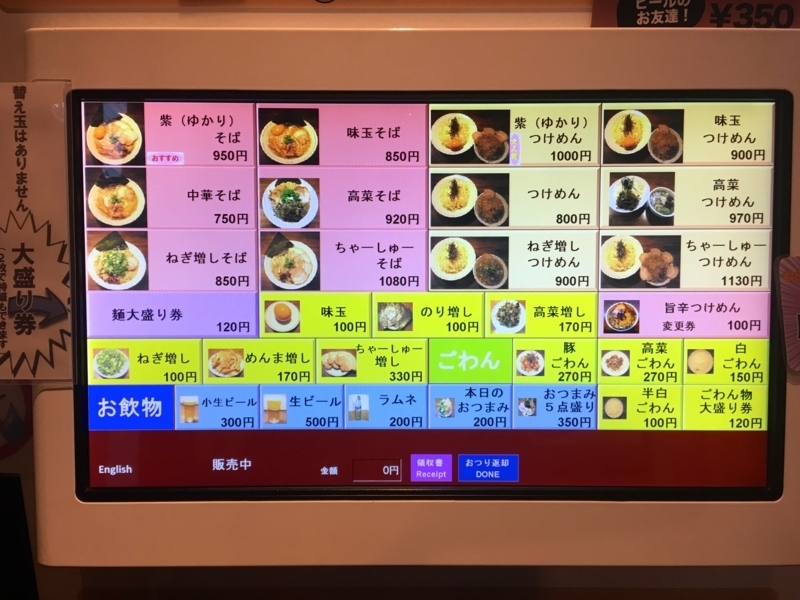 Here is a shame that offers ramen noodles in Tokyo, "Wakayama-Kei Tonkotsu-Shoyu". The store's name is "Murasakiyama". 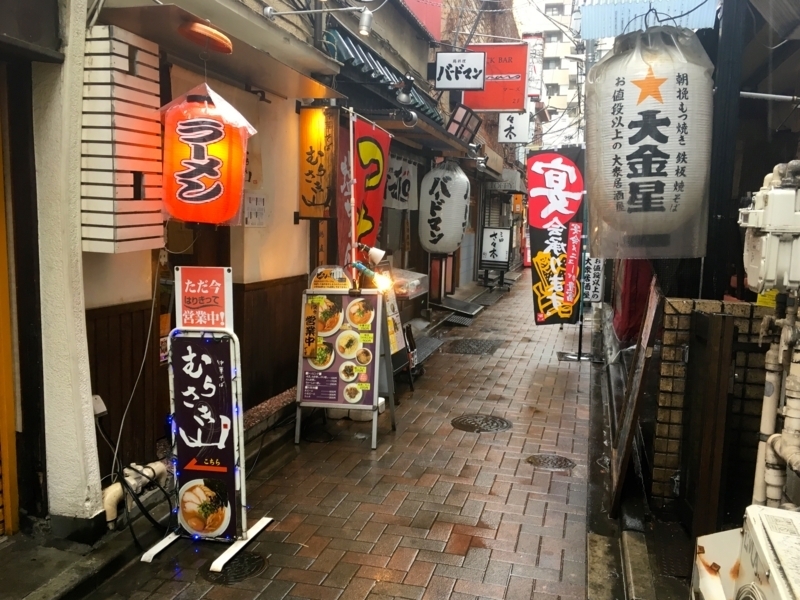 I like the most among ramen shops in this area and I pass the most. 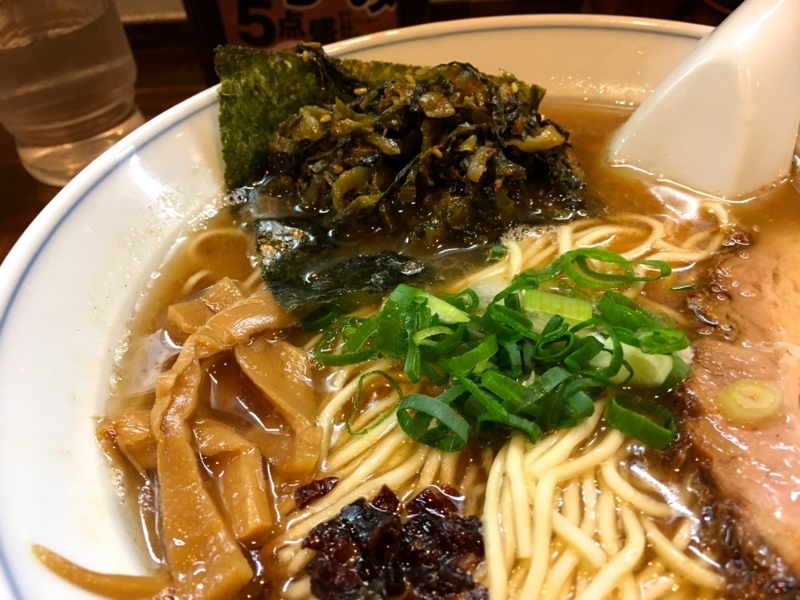 I used to eat this style of ramen well when I lived in the Kansai area before, because I feel nostalgic. 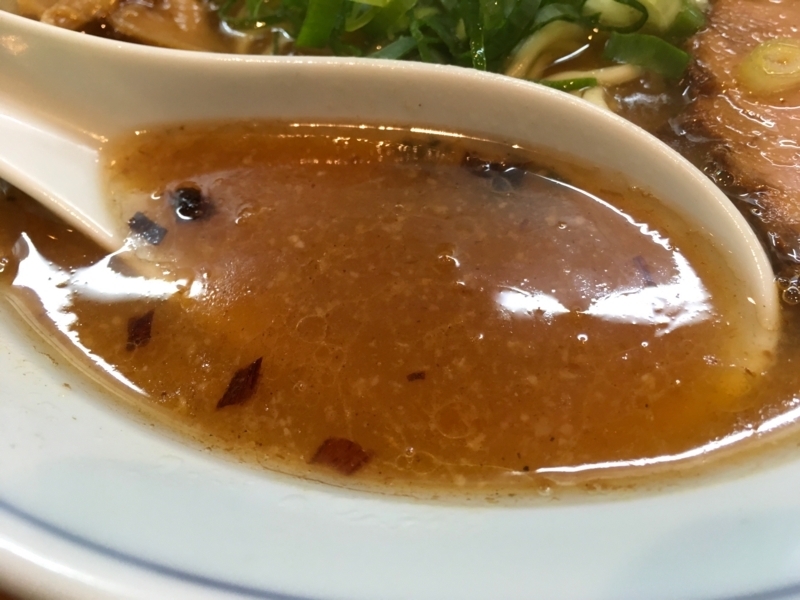 The characteristic of soup is boiled juice of rich pork bone and arranging with soy sauce. 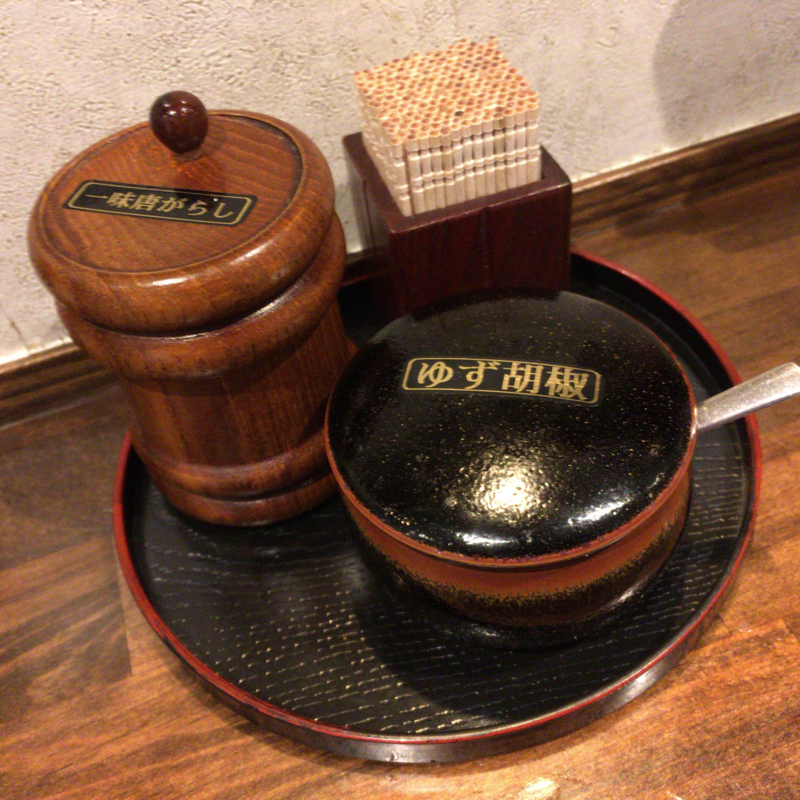 This point is quite different from Hakata ramen. 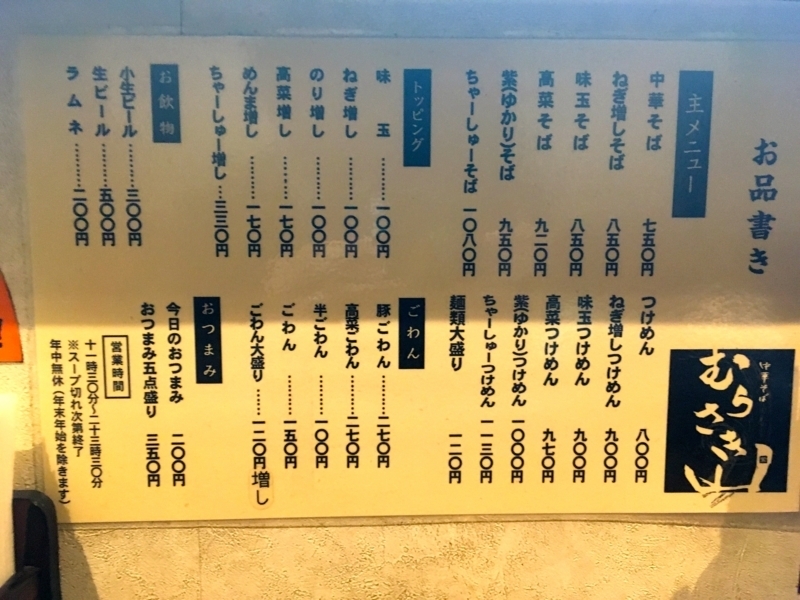 In addition, I think this shop adds its own arrangement to ramen soup. It adds further flavor oil. I guess that the oil is a burnt green onion added to lard. The other is addition of seafood soup. 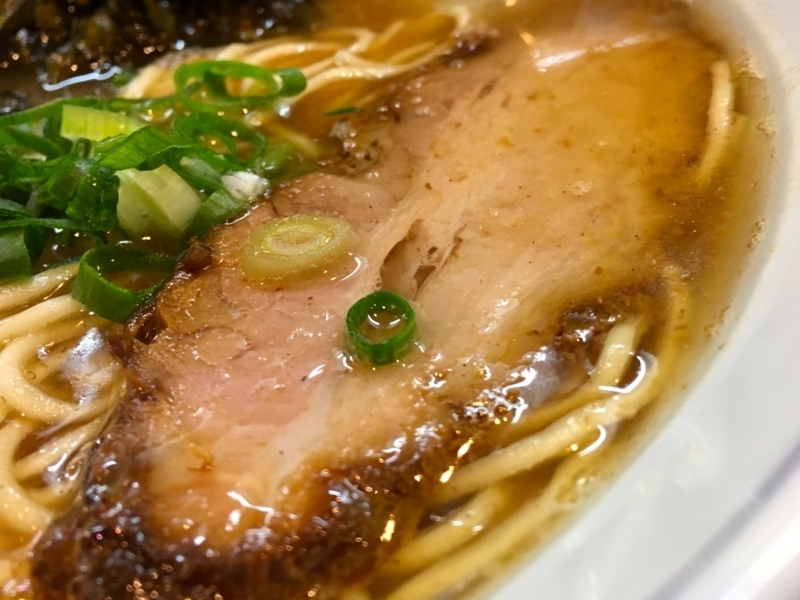 Through these, this soup is more innovative than the general "Wakayama-Kei Tonkotsu-Shoyu". The noodles are beautifully straight. 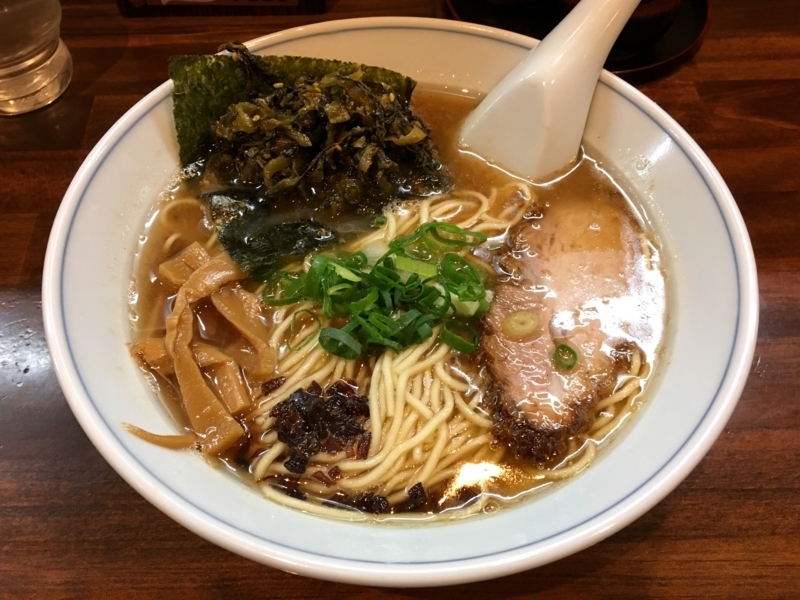 And the water of the noodle is a bit low, so I feel that the flavor of the noodles is more alive. 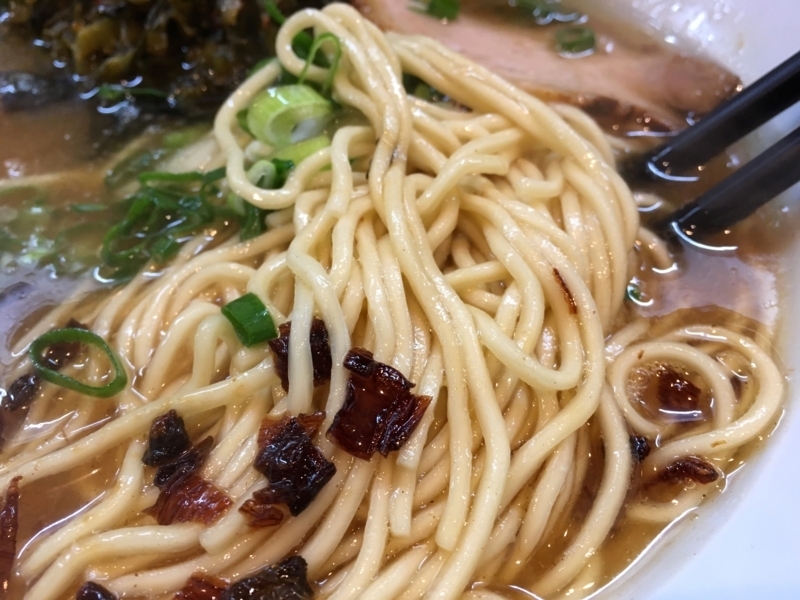 Flavor oil sticks to the surface of noodles, it is very slippery, easy to eat. It is crisp and good to eat. Chasyu is also wonderful. The meat is a soft ribbed meat with a soy sauce based taste added. And it is compatible with ramen, but I feel that it is more compatible with rice. 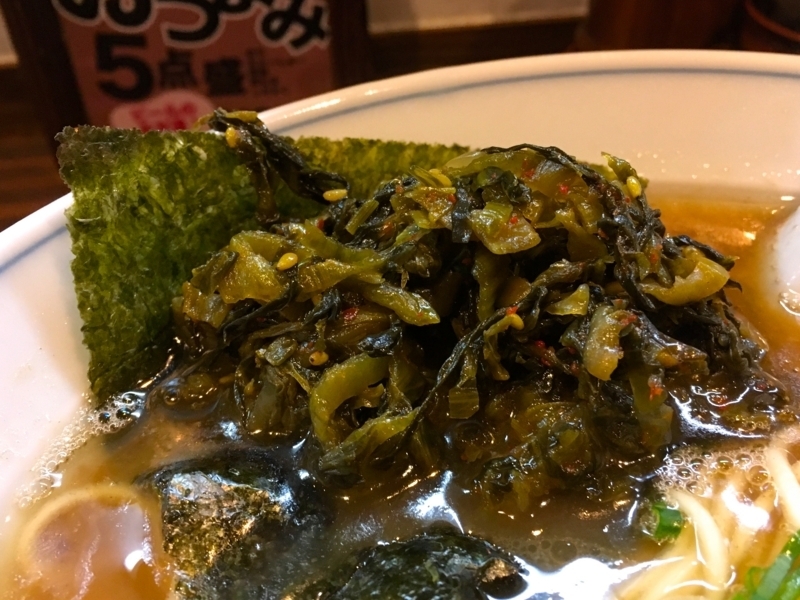 "Takana" is a type of pickle made of grass called "Karashina". "Karashi" means Hot / Painful in Japanese. Therefore, this pickle is tasty but painful. However, it feels delicious to the Japanese. I am one of Japanese who deeply loves "Takana". This gives power with soup and increases taste. This time, I was deeply impressed with the nostalgic flavor. I think that I will certainly come again. Deeply appreciated today for delicious ramen!